I never gave a thought to hot air ballooning until one day while living in Dubai I looked up and saw about 30 colourful balloons glide silently across the sky. I was transfixed by the sight. The pale blue sky, tinged with orange, provided a Hollywood style background to the floating balloons. The stillness only added to the uniqueness of the moment as the cluster of balloons moved over the rows of villas surrounding me. The Chinese used unmanned hot air balloons as far back as 220AD. Called sky lanterns, these flying objects were used for signalling between armies. However, it was many centuries later before flying balloons were suitably designed to carry humans. In the 1780s, the French Montgolfier brothers developed their hot air balloon and on September 19th 1783, it drifted aloft in a 10 minute tethered flight. The first free flight with human passengers was made a few weeks later, on November 21, 1783. Since then, hot air balloons have been used for military purposes to provide a bird’s eye view of battle fields and also for spying. By the 1960s, hot air balloon technology had developed to the point that created the machines we see in the sky today. In the past 20 years, they have become increasingly popular for leisure and tourist activities. 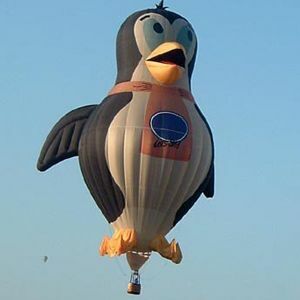 Hot air balloons come in a range of sizes from a one man machine to balloons that hold 20 passengers. They are registered aircraft and have to be flown to strict safety standards. If you want to buy a basic balloon that stands 20 metres when inflated, with a 3 person basket, 3 gas bottles, an envelope and duel burners, you will have to fork out $40.000. On top of this, you’ll also need to purchase a transport trailer, inflation fan, ropes and a radio. However, if you want a specially shaped balloon, they can be as expensive as $400.000!! I had no idea how common hot air ballooning is in New Zealand until I began researching this blog. Hot air balloon operators can be found throughout the country, where flights follow the breeze over landscapes with meandering rivers and highways and dotted with lakes. As dawn breaks every calm summer day at numerous locations around the country, balloons rise from the ground carrying enthusiastic balloonists and excited tourists. Although I live in Auckland, I have never seen a hot air balloon floating above although I’m told flights regularly take place over the city. The urban area sprawls for many kilometres so I guess my neck of the woods is not on a balloon flight path! I must say, with so much sea around the place, I’m not sure how the balloons track a safe route as they are reliant on the wind flow. I guess they only fly if there is an onshore breeze that would guide them over land rather than out over the Pacific Ocean on the east side or the Tasman Sea on the west of the city. In the Hawke’s Bay, early morning flights glide gracefully over farmland, orchards, and vineyards, with Mt Egmont/Taranaki the focal point of this part of New Zealand. Balloon flights also take place over the Wairarapa district and the snow-capped Tararua Mountains, north of Wellington. In the South Island, the imposing Southern Alps present a stunning snow-capped backdrop for hot air balloons drifting above the flat Canterbury Plains. Queenstown is the adventure capital of the world offering a bewildering menu of exciting activities from the world’s first bungy jump location to world class skiing so it is no surprise that the peace and stillness of hot air balloon rides are also available. They fly tourists over Lake Wakatipu, the Shotover River and surrounding mountains where scenes from the Lord Of The Rings were filmed. Flying at an altitude of around 6000 feet, I’d suggest these flights must be among the most spectacular hot air balloon flights in the world. At $500.00 a flight, it would need to be pretty exciting! For the past 18 years, Balloons Over Waikato has been New Zealand’s largest and most popular hot air ballooning festival, attracting ballooners from all over New Zealand and around the world! This year’s event attracted 130,000 spectators who ogled at balloons with descriptive names such as Little Wizard, Piranha, Sweet Pea, Dragon Fly and Lollypop. These names indicate the fun element that ballooning embraces. The 5 day event kicks off with the spectacular Hamilton Mass Ascension when, as the name suggests, all the balloons taking part in the event, lift off in rapid succession to fill the sky with an awesome display of shapes and colours. During the festival, balloonists descend in their colourful balloons to visit schools and parks around the Waikato region. They also fascinate onlookers when they take part in various competitions to show off their flying skills and their balloon’s capabilities. Each year features at least one special shape to get people talking. Previous years have provided a large clown, a huge penguin, an ark, and a pirate parrot. I have never been all that interested in experiencing the various ‘adventure’ tourist attractions available in New Zealand, but hot air ballooning is an exception. Although there have been two well publicized balloon crashes in the past few years, with loss of life, I am still keen to experience gliding silently with the breeze over a spectacular NZ landscape. It must be a truly memorable thing to do.